Glass partitions or (glass partition walls) are high-quality, non load-bearing panes of glass that function as room dividers. Glass partition walls are great for opening up a room and creating open, airy work environments. Partition wall systems are typically full glass (ceiling to wall) partitions. Aluminum frames or other mounting hardware hold these systems in place. As a building material, this interior glass allows designers and architects to divide a room, without sacrificing floor space and light diffusion. Glass partition walls are ideal for creating comfortable and practical office working environments. When you allow natural light to flow into a given space, it changes how shapes, colors, patterns, textures and people interact. Glass partition walls are also one of the simplest ways to update an office or commercial space. These glazing systems systems are gaining in popularity over traditional drywall installations. Interior designers and architects both appreciate these glass wall systems for their scalability and translucent properties. What are the best glass designs for partitions? Glass partition wall systems are over time often more affordable than traditional building materials like drywall. These commercial glass systems are scalable. You can reconfigure and move glass partition walls to accommodate a wide array of needs. As compared to sheetrock, glass partitions are a less permanent and more mobile solution. Given their opacity, glass walls allow natural light into a work space. Frameless glass walls reduce your need for additional lighting. Glass partition walls obviously afford greater transparency. Customers, clients and employees all appreciate seeing who they’re working with. 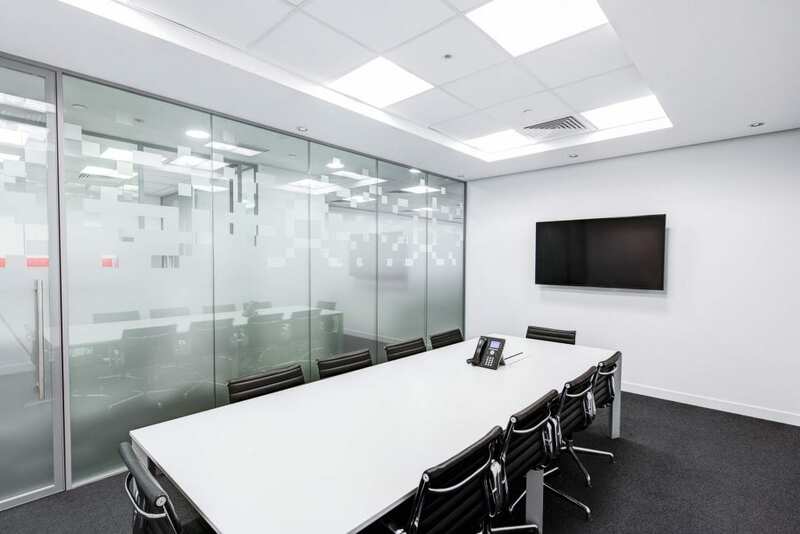 Partition walls create a greater feeling of openness and connectivity. These fully framed systems are best suited for use in offices and retail spaces. Partition walls also have residential applications as well. A framed partition wall system creates rooms and separates work areas. Consider your office design or retail space needs as you select these glass modules. In many cases, installation is simple for a trained installer. Aluminum is typically the prefered building material for holding framed glass partitions in place. This light-weight material lends sufficient rigidity and prevents against corrosion. The surface of the aluminum framing is sometimes finished with natural anodization or powder coated. Slimmer profile systems are yet another partition solution to consider. Each framed module may also be specified with various infills. Each glass pane is fixed in the framed module with a special transparent silicon sealing, making the transition from glass to aluminum nearly invisible. You may also spec a partition with tempered glass (clear, tinted or opaque) or melamine, MDF, veneer, PVC or acrylic boards. An aluminum profiled partition wall system may include typical aluminum framed hinged doors or sliding doors with a bottom guide track. Systems may also incorporate suspended doors with an upper guide track. This leaves the floor surface free from tripping hazards. Recessed door handles and surface mounted rail or pull handles are other options to consider. Locking systems typically incorporate narrow profile locks intended for use in aluminum doors. These are full floor to ceiling glass installations. Given their minimum profile, full glass partition walls leave nearly the entire glass wall area free. These systems create the most airy of working environments. Most all systems utilize glass and aluminum mounting hardware. Full glass partition system may be combined with hinged or sliding doors by using specialized hardware. To ensure safety, glass panes are always tempered and the visible edges are polished. The vertical joint remaining between the two glass panes is filled with transparent silicon or acrylic foam tape to ensure rigidity and sound resistance. Where needed, vertical profiles connect the glass pane and wall. Opaque and tinted glass panes provide opportunities for creating unique and private rooms. You can also apply decorative films and stickers for company logos or other directional text. Connect with nvision Glass today. We work closely with companies and businesses to help determine their commercial window and glass installation needs. Ultimately we aim to offer you a wide range of commercial glass solutions including: storefront glass, glass curtain walls and glass partitions. We also handle custom sizing and specifications, with the experience you would expect from industry experts. Contact nvision Glass in Reno or nvision Glass in Las Vegas for more information or for a project estimate.